Air conditioning condenser fan motors! 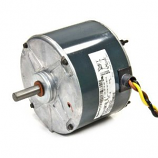 This motor can be installed either vertical, horizontal, right side up, or facing down. This motor is a 208-230 volt, The motor is reversible in case you install it and find that the fan blade is going in the wrong direction. Just unplug and change the plug direction on the motor. 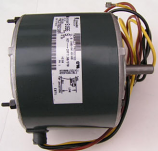 This motor will work and adapt to many outdoor condensing unit fan applications because of its reversibility and multi-position adaptability. Just remove the plugs in the end of the motor for various position mounting. 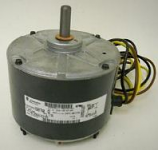 Warranty Information: These motors come with a complete One year replacement or money back warranty. If the motor is found defective, I will send you a new motor or refund your money. The motor must be shipped back to me before I could refund your money. Buyer would need to pay shipping on the return. Purchase with confidence! These motors are great motors! I test the shaft bearings to make sure the motor bearings are free before shipping.